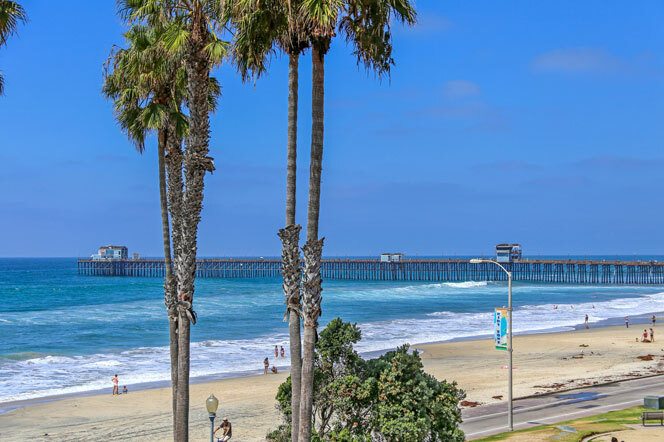 For those looking for an ocean view condo one of the best places to look is the North Oceanside area. North Oceanside has a huge variety of ocean view condos that can be found in small and large condo complex's. A great example of a luxury condo building would be Montego Bay which is located across the street from the beach. This is a smaller condo building but offers luxury condos that are often priced over $1 million dollars. For more affordable view condos consider the North Coast Village and San Miguel condo complex's. These are often priced well below one million dollars and offer a location that's just steps to the beach. Here is the current list of available ocean view condos.